A baby reindeer, panto characters and free street entertainment will help transform the town centre soon at the annual Our Bury St Edmunds Christmas Lights Switch On Night on Thursday November 15. The event will offer a packed programme of street and stage entertainment, festive fundraising stalls for charities and free parking after 4pm to start the build up to the main attraction of the evening when the town is lit up at the flick of a switch at 7pm. Entertainment will then continue until 8pm. Dozens of good causes have booked market stalls for the evening and there will also be fairground rides and food stalls. Many of the town’s shops will stay open for Christmas shopping. The switch on this year will be performed by special guest Dr Liz O’Riordan, a specialist breast cancer surgeon who has also had treatment for the disease herself. She has recently published a book about the illness which she hopes will inspire others who are undergoing treatment. Dr O’Riordan was famously pictured dressed as Mrs Incredible for her final radiotherapy treatment and has hinted she may wear the outfit again for the Switch On. 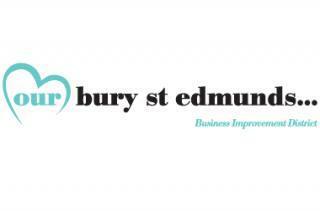 The event is one of the annual free town centre attractions run by the Business Improvement District (BID) organisation Our Bury St Edmunds. Chief Executive Mark Cordell said: “The BID is proud to make sure the town has a stunning selection of Christmas Lights and Switch On Night is always great fun for families and shoppers as we prepare for the festive countdown. It’s all part of the build up to our other Christmas attractions of dodgems and the return of Santa’s log-cabin Grotto to Charter Square. The build up to the switch on will begin from around 3pm. There will be a full programme of stage entertainment outside Moyses Hall from 3.15pm, fairground rides on Cornhill and Buttermarket and the event marks the start of free parking on a Thursday from 4pm for late night shoppers. This is in addition to the year-round promotion of Free from 3pm parking on a Tuesday.